How will Synergist benefit you? Every day thousands of people in design, digital, creative and PR agencies rely on Synergist. They use it to manage projects, track time, inform decisions, oversee clients and ultimately, drive the agency. But what Synergist can give you personally, and how you'll use the software depends on your role. 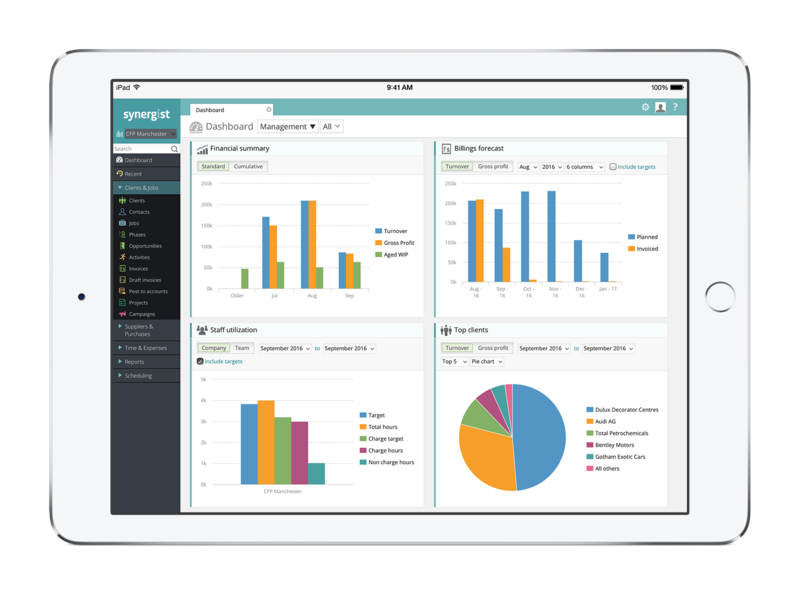 From saving vast amounts of time to providing visibility of new data, Synergist offers a number of personal benefits to help you in your day-to-day. You’ll have all your agency’s day-to-day tracking and reporting in one place. So decision making across your agency is transformed. Factual data empowers the team and reveals previously unseen patterns, providing a new perspective. You’ll gain confidence that everything is being tracked, leaving you to focus on driving your agency. At-a-glance live visibility of jobs will give you greater control and increased confidence in how your figures are being generated. The functionality to set up as many reports as you need, and enabling these to run automatically while you focus other things, will dramatically reduce your admin time, allowing you to focus on the bigger picture. 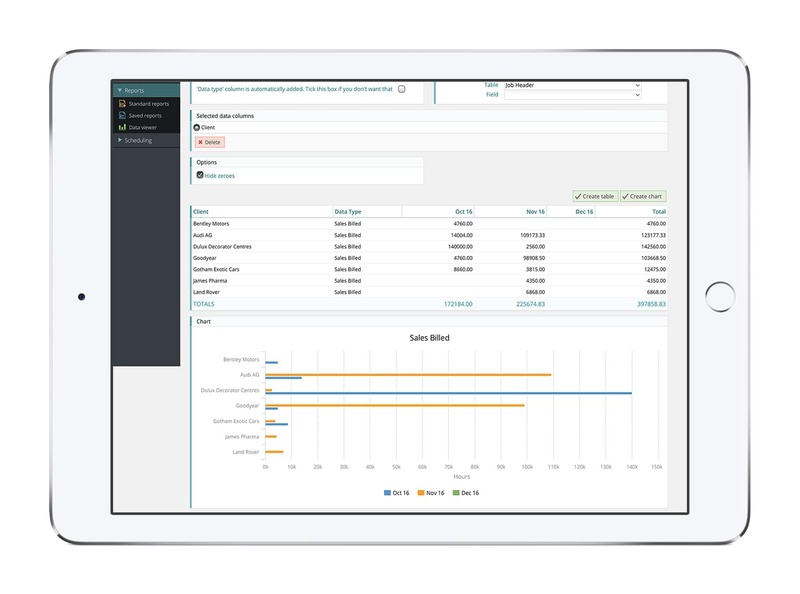 The clearer picture, gained through Synergist’s job tracking functions, will allow you to spot potential project issues quickly, so you can fix them, minimise the damage and use the data to prevent the same issues in future. Plus, with this new data, you'll be able to easily spot client over-servicing and you’ll also be armed with the factual information needed to have frank conversations with clients. 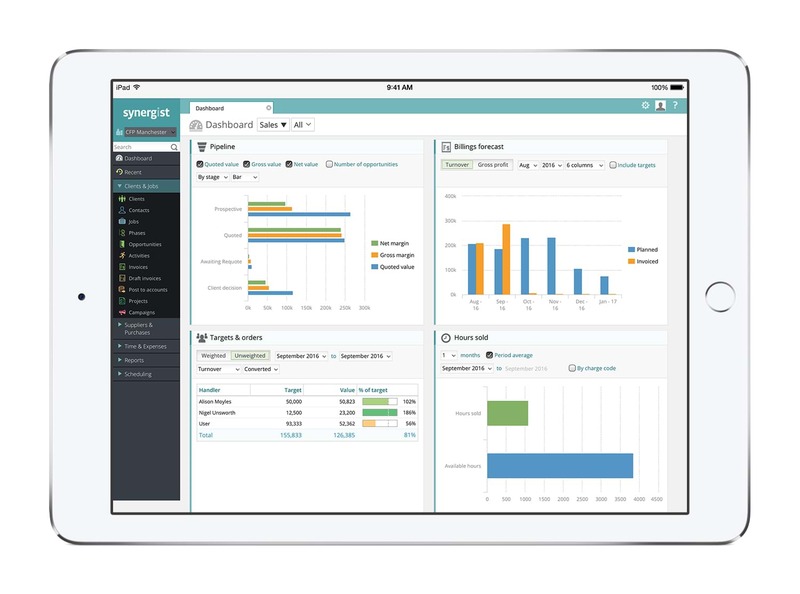 Scheduling and dashboard tools allow you to see in real-time, where you’re at capacity and where there are gaps. Allowing you to respond to a constantly changing landscape whilst maximising your resources. Someone finishes a job early? Great, with Synergist they can see what’s next and get started. Plus, the factual information you'll gain will limit internal conflict over resourcing priorities and help you avoid those pesky ‘pushed through’ jobs. 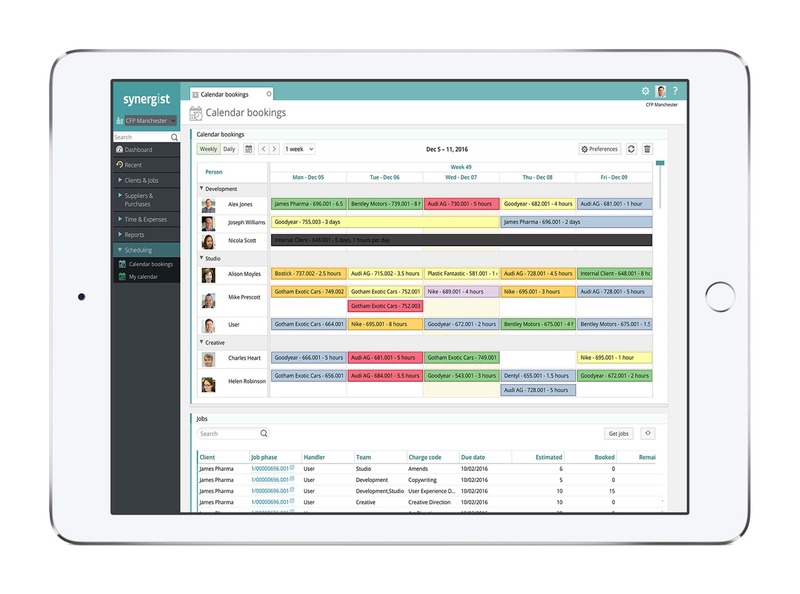 Everyone in your agency will benefit from using Synergist, even if they're simply entering timesheets. The new visibility you’ll all gain, will help raise commercial awareness across the board. What's more, every team member can see how their role fits into the bigger picture, which is very empowering and encourages collaborative working. And if Synergist is looking after the tracking, then everyone has more time to focus on their talents.